They felt that they had something nice in those homes, but neither Trump, nor Ryan, nor Walker cared about these homeowners and their private property. 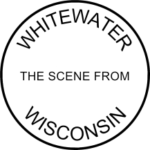 In Whitewater, Kachel and Knight of the ‘Greater Whitewater’ Committee insist that they have a sincere interest in boosting single-family homeownership. Perhaps. And yet, when they invited state operative Matt Moroney to speak on the benefits of Foxconn, these two men didn’t have any reported concerns about the taking of others’ single-family homes. A principle that extends no farther than Howard Road isn’t a principle; it’s a situational expediency. That way won’t lead to a greater Whitewater – it will lead only to a lesser Wisconsin, and a lesser America. Previously: 10 Key Articles About Foxconn, Foxconn as Alchemy: Magic Multipliers, Foxconn Destroys Single-Family Homes, Foxconn Devours Tens of Millions from State’s Road Repair Budget, The Man Behind the Foxconn Project, A Sham News Story on Foxconn, Another Pig at the Trough, Even Foxconn’s Projections Show a Vulnerable (Replaceable) Workforce, Foxconn in Wisconsin: Not So High Tech After All, Foxconn’s Ambition is Automation, While Appeasing the Politically Ambitious, Foxconn’s Shabby Workplace Conditions, Foxconn’s Bait & Switch, Foxconn’s (Overwhelmingly) Low-Paying Jobs, and The Next Guest Speaker.